I with my young son have fished the trailer boat for the last 2 years and find it a very enjoyable comp to be apart of. 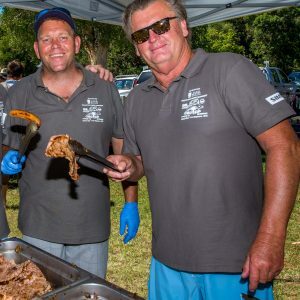 The effort the Shoal Bay club provide in helping out makes everything run smoothly despite the obvious obstacles placed against you this year. I, as a father feel I need to provide some feedback regarding the distribution of prizes to junior and senior competitors. My son Xavier won the prize for the biggest snapper in the junior devision and that absolutely made his weekend. Based on this I saw a lot of disappointed juniors miss out on a prize and another junior walk away with 12 fishing rods, back packs etc. ( you know who I’m talking about) My suggestion for future years to make it fairer would be you can only win 1 prize per category not all 3. That way more juniors/ seniors who caught a fish in a certain category would have a chance at a reward. The look on some peoples faces (including juniors) watching the same junior repeatedly collect prizes was not great. Please don’t take this email as being negative because as I stated from the start my son and I had a great time. Need all the feedback we can get. Not afraid of change and always looking for improvement. Xaviers snapper was a fish any angler would be proud to catch. On the matter of prize distribution I agree with you 100%. I think some kids (or is it their parents?) can totally forget what the spirit of the competition is all about. We don’t seem to have the same issue with Seniors. Working hard to build up the numbers of people, particularly families attending so action on this may help. 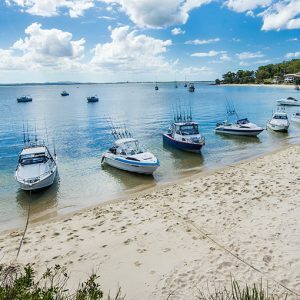 Will forward to the Shoal Bay Fishing Club guys & see if we can come up with a workable solution that doesn’t complicate the rules. We’ve managed to work with the virtually the same rules for over 20 years now.